The Experimental Psychology Lab (EPL) is part of the Department of Psychology of the University of Cyprus. It was established in 2004 to conduct research in spatial cognition. 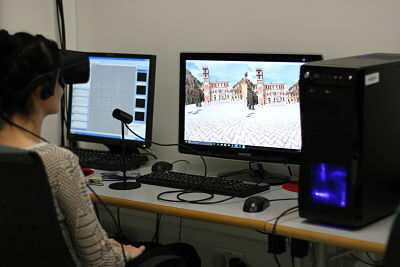 In 2007, a starting grant from the ERC allowed fitting the lab with advance equipment for immersive Virtual Reality (VR) and expanding the research group to include post-docs and other personnel. Currently, our main set up for VR includes an HTC Vive Pro headset and Worldviz Precision Position Tracking (PPT) that provides research grade motion tracking. 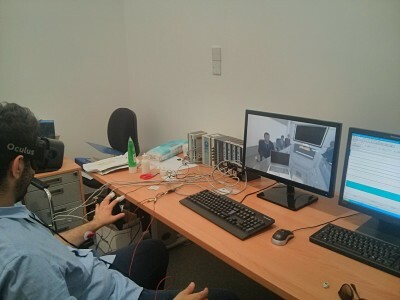 Through our affiliations with RISE and CAN (see below), we have access to several other facilities, including equipment for EEG recordings, psychophyiological measurements, eye-tracking, and motion capture. Research at EPL is currently funded by a number of national and international grants and includes topics that go beyond spatial cognition (e.g., visual perception, time perception, emotions). EPL is a founding partner (through the University of Cyprus) of RISE Nicosia: the Research Centre on Interactive Media, Smart Systems, and Emerging Technologies. RISE has been established in 2018 following national and european funding under the H2020 Teaming call. It is a partnership between the three state universities of Cyprus (The University of Cyprus, The Technical University of Cyprus, and The Open University of Cyprus), the Nicosia Municipality, the University College London, and the Max Planck Institute for Informatics. Marios Avraamides, the Director of EPL, is the Pillar Leader for Human Factors at RISE and the supervisor of the Cognitive and Clinical Applications (CCAPPS) Multidisciplinary Research Group. EPL scientists are also part of the Center for Applied Neuroscience (CAN) at the University of Cyprus. 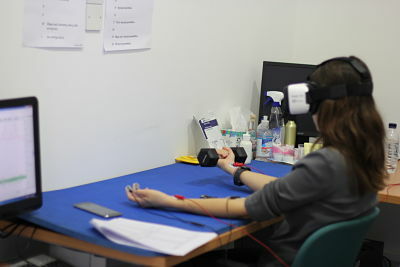 Through CAN lab members have access to further facilities that include testing booths and equipment for electrophysiological (EEG) and psychophysiological recordings. Learn more about CAN here. Following funding from two consecutive ERC Proof-of-Concept grants, Silversky3D Virtual Reality Technologies Ltd, a spin-out company from EPL was established in 2014 to pursue commercial work. The compnay is run by former personnel from EPL and is currently the leading company in Cyprus on Virtual Reality applications. 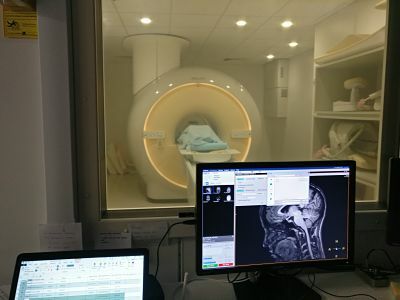 In addition to servicing clients in the architecture and construction sectors, Silversky3D carries out research and development in Clinical and Cognitive Psychology. EPL maintains close ties with Silversky3D and a number of joint projects are currently under way. In 2019, Silversky3D has established MentisVR, a subsidiary company that develops innovative VR applications for sports training. Click here to visit the Silversky3D site.